A list of third-party games apparently coming to the Wii U has been leaked from what appears to be a Blockbuster UK inventory list. Among the line-up are a number of new games like Marvel Super Heroes and Rabbids Party Land as well as a few that we already knew were in the works for PS3 and Xbox 360, such as Metro: Last Light. But jitterbugs will be pleased to hear that Just Dance 4 is on the way, while there are a couple of complete wildcards on the list to keep us guessing – Zombie? Could that be a game based on the hit song by '90s darlings The Cranberries? Of course, nobody but nobody is confirming or denying the existence of any of the titles on the list, not least Nintendo which is staying tight-lipped on the matter. But with E3 just around the corner – that's E3, the same show where Nintendo first announced the Wii U console – we could be looking at an imminent announcement anyway. 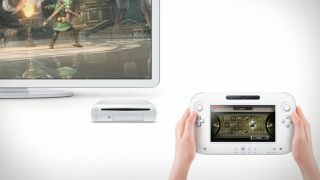 The Wii U is expected to hit the shop shelves at some point around September, in plenty of time for Christmas 2012. We're expecting to see hear more about the Wii U from Nintendo at E3 in June – in the meantime, acquaint yourself with the tablet-toting console with our hands on Wii U review and video below.